You all know Im all about skincare, and how to better improve it. Lately my skin had been very congested and Ive been breaking out randomly and getting blackheads. Theres always that frustration of whats causing it. For me its all hormonal since my skin is slowly going back to the way it use to be before baby. I had the opportunity to try this new product from Philosophy, its from their Purity line (which they're cleanser is always a best seller. ) This is their Purity Made Simple pore extractor. Which does just that, it extracts your pores from all the build up and gunk. Ive been using it for a few weeks now and I have seen a tremendous change. So what is this your probably asking? It's a mask, cleanser and exfoliator. It hardens like a mask, deep cleans your skin and helps exfoliate. I was skeptical about using it since my skin is pretty dry on most days. But this product blew me out of the water with how soft my skin felt afterwards. 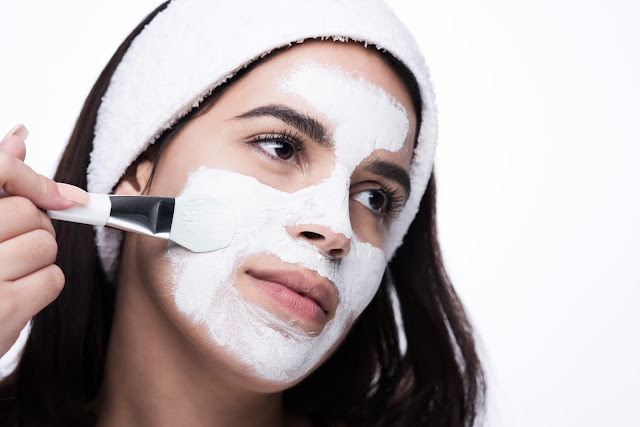 The perfect at home pore extractor. This product is available only at QVC so make sure you head on over and get it before they're all gone. Taking care of our skin is something everyone should be interested in doing. Changes from season to season and how our skin is effected. This pore extractor sounds like it really works. Haven't order anything off of QVC before so this will be something new for myself. This sounds so amazing! I am always looking for new products to extract all that gunk out from my face! I really like Biore Strips and Clay masks! Sounds like a great addition to try in my skin care regimen. I haven't fully found one that I like wholeheartedly yet. Will have to give them a try. I watch QVC all the time and never even saw this on there. It sounds awesome. I need to get over there before they are all gone! Very nice! I will have to check this out on QVC. Time to update my skin care products. This is something that I bet my daughter has not heard of before. She is always complaining about getting blackheads. She needs to try this. My skin care products need a really big update. I am going to have to check this pore extractor out. Anything that will make my skin better I am ready to try! I would love to try this! I love that stuff. Hell, I love anything by Philosophy! Sounds like a good product. I would love to try it. 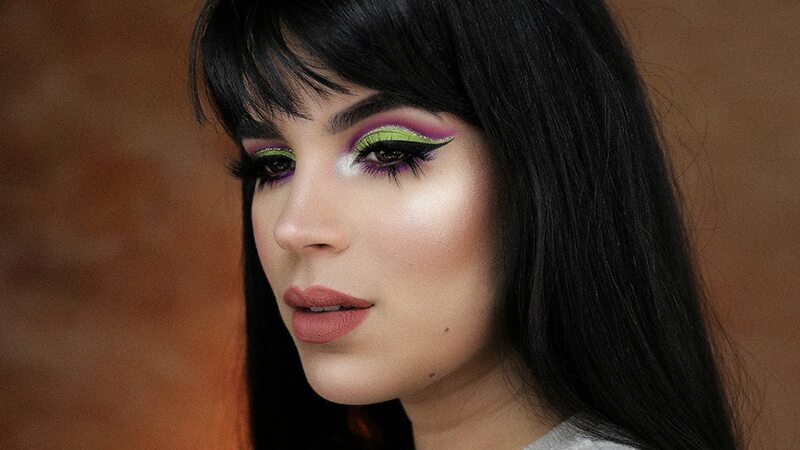 I cant wait to try this im all about masks right now! Thanks for sharing. I have heard amazing things about this product, and now I really want to try it. It sounds like it's something Ishould definitely add to my routine. I have sensitive skin so I have to be careful with what I use but I would love to try this out and see how my skin handles it. Actually I should do a "girls night" and do this with my daughters. Philosophy is a great brand for skincare. I have had good luck with all of their products I have tried. I have been trying to take better care of my skin. I know I need to make somer eal changes to my habits I'm not getting any younger. I applaud your quest for better and newer skincare products. I'm always on the lookout myself. Great post! I love that it is a mask and it also exfoliates! I really need to start taking better of my skin. I want to try this pore extractor SO MUCH! I love all of Purity's products and this has been on my must buy list for a bit now. 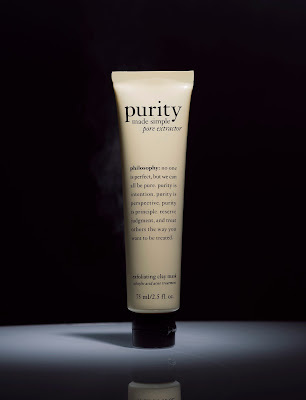 The Philosophy's Purity Made Simple pore extractor sounds like something I would love to try. I have been looking for a great face cleaner and this sounds like it would be the perfect fit for me. Thanks for sharing this awesome product. I could use a pore extractor and this one sounds like the one I need. I'll have to check it out at QVC. I swear by Philosophy facial cleaner but I've never tried the pore extractor. I feel obligated to try it since I use the other one daily. Sounds like a great product. I haven't heard of this before but really would love to try it. A pore extractor? Sounds like a great combo of uses and worth trying. Gracias for the intro. If you have a child who plays video games, part of your responsibility as a parent is to ensure that they exercise moderation in their gaming. Although there is software available that will let you monitor or even restrict how much time your kids spend playing games, it's better to make them understand the dangers of spending too long in front of a screen for their own sake.